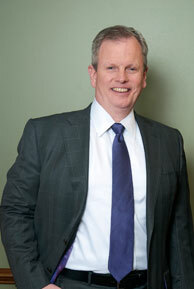 Jeff Standley is the founding partner of the law firm, which began in 1994. Prior to starting the firm Jeff practiced at a prominent firm in Michigan and later at a well regarded firm in Ohio. While serving as Managing Partner of the firm he has a fulltime practice representing clients from around the world with their intellectual property law matters. Jeff holds a BS in Mechanical Engineering from The Ohio State University and a law degree from Capital University Law School. He is licensed to practice law in the State of Ohio. He has appeared on behalf of clients in numerous Federal District Courts across the country including Ohio, Texas, Michigan, Georgia, California, Missouri, Nevada, Florida, Delaware, Virginia, Pennsylvania, Minnesota, Washington, and New York. He has appeared numerous times before the Court of Appeals for the Federal Circuit and before the Sixth Circuit Court of Appeals. Jeff is also a Registered Patent Attorney with the United States Patent and Trademark Office, where he has appeared numerous times on behalf of clients, before Examiners and before the Board. Jeff's practice is broad and experienced in all aspects of intellectual property law. He has helped clients secure hundreds of patents and trademarks before the USPTO. He has registered numerous copyrights before the US Copyright Office. He has obtained state trademarks and trade names for many clients. He has counseled clients on trade secret protection and trade dress protection. He has worked on matters in approximately one hundred foreign countries helping US based clients obtain foreign protections for their inventions and their brands. He has appeared before the European Patent Office (EPO) in Munich with German associates, and attended proceedings at the Japanese Patent Office in Tokyo with Japanese associates. Jeff has counseled clients in licensing their patents and trademarks for royalty income, in selling or transferring their patents and trademarks, and in acquiring rights to use others' intellectual property. He has offered legal opinions to clients confronted with serious intellectual property issues. Jeff has represented numerous clients in court cases across the country as Trial Attorney and lead litigation counsel in jury trials and bench trials. He has presented arguments to the courts in numerous Markman Hearings in patent cases, and preliminary injunction hearings in trademark and copyright cases. He has taken and defended depositions, both personal and corporate, in a wide variety of cases. He has successfully represented multiple defendants in what many believe is the largest patent case in the country's history, involving telecommunications technologies. Jeff lists among his clients several Fortune 1000 companies, and many medium-sized companies, in all types of technological fields. His clients span from coast-to-coast, and he has been privileged to counsel several foreign based clients in their US matters. He is a recognized expert in his field having served multiple times at the request of other attorneys seeking expert opinions at trial. He is one of the co-authors of the legal treatise "Internet and Online Law." With the tremendous support of the strong team of lawyers, paralegals, and staff at the Standley Law Group, Jeff has been able to successfully represent clients at a reasonable cost against some of the largest and best law firms in the country.